Teaching Blog Round Up: End of the Year Tips and a FREEBIE! Howdy Partners! 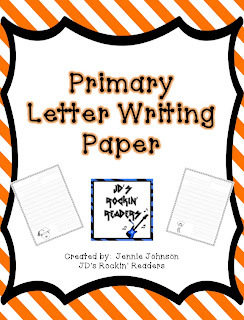 My name is Jennie and I am a First Grade Reading Specialist. I was extremely excited to be asked by Teresa from Fun in K/1 to be a part of this blog! When I first checked it out, I had all sorts of fun memories pop into my head. I love the "cowboy" theme. It reminds me of some fun college times- Tuesday nights at Marks. It was always country night and we would line dance the night away!! Come to think of it, my hubby and I just did that last weekend. We were out on the town and heading down some back country roads. A great two steppin' song came on the radio and he asked if I wanted to dance (as we were in the car). Of course, I decided to play along and said "SURE!" Well, my friends mother was driving us around so she pulled over on the back road and let us get out. I couldn't let him win, so here we are two stepping in the middle of the road! 1. Go outside and let them play all day. (OK- don't do that, you may lose your job!) But, you could give extra incentives for some extra recess time to help keep them from running all around the room calm for the remainder of the school year. Don't ever under estimate bribery! 3. ALL KIDS ARE JUST AS EXCITED FOR SCHOOL TO END (as we are). Truth is, this is NOT true. Many kids are ready to be done with school and enjoy the summer. But, there are also many that really love school and don't want it end. Have a talk with your kids about what to expect for the summer months. Let them know that it is okay to be excited about summer and it is also okay to feel a little sad that school is going to be out. Some kids also get nervous about change (don't we all) and aren't sure what to expect at the next grade level. Talk a little bit about the teachers that they will have next year. Maybe you can even take a little "tour" to their classrooms and introduce them to the teachers. This may help with some anxiety issues. 4. Lastly, we want them to have some memories from the year. I don't know about you, but I pretty much remember NOTHING about Kindergarten, First, or Second Grade. I know, as a teacher, we think they will remember us forever. I'm sure most won't, but if we can provide them with some proof that we were with them for 180 days of their lives- lets do it! 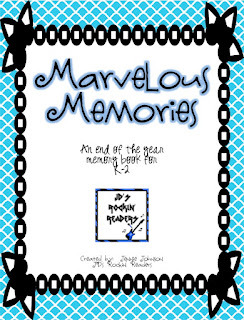 I whipped up a little memory book. It isn't anything too fancy. It is simple and will provide them with some memories. The book has covers for Kindergarten, First, and Second. Click on the picture to download it! I hope you have a great end of the year (those of you that are about done). I would love for you to stop by my blog sometime!